5 shirt variations with easy machine sewing techniques. Fast & easy baby gifts. Embroidery designs included. 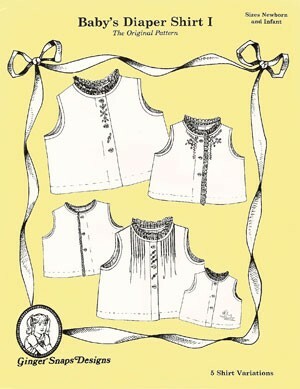 Designs & pattern can be adapted for French hand sewing techniques.